Having a piano in your home can be a great way to enjoy music and culture any time you want. It can also make a great décor centerpiece to your living room, or simply function as a central point for all of your endeavors in entertaining. No matter why you want a piano, getting a piano into your home isn't always easy. Here are the steps you will need to take to get your piano where you want it and working well. Plan the Move The first thing you will want to do is plan the move of the piano. Whether it is new or moving from another room, you will need to do a lot of measuring and plan the route in which you will move it. Professional movers that have experience with pianos can help you do all the planning, including accommodations such as remove doors or navigating tight corners. 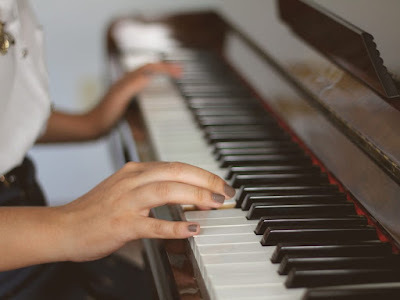 Ensure the Area is Prepped Before you move a piano, you want to make sure that the area where you want to have it will be properly prepared for the additional weight of a piano. You may want to have a professional inspect your flooring to make sure that the weight of the piano will not do any damage to the floor or the structure of your house. If it is too heavy, you can add additional supports underneath the floor to make up for the additional weight. Put it in Working Order Once you have your piano where you want it, the last step is to make sure that it is working properly. Sometimes moving a piano can get it out of tune. If that happens, you can schedule an appointment with a piano repair Boston specialist to have your piano sounding perfect with every key stroke.